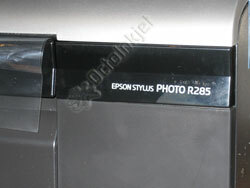 Epson have been busy churning out new printers again so I’ve recently acquired an R285 (the UK version of the R290/R280) and checked it out with a view to modifying it. Unfortunately as one of the newer printers, the R285 has been made harder to reset (ie: the IPR_A10 utility will not work with it). So, with all this in mind I’ve created a new R285 instruction set for fitting a waste ink kit and resetting the protection counter on this printer.